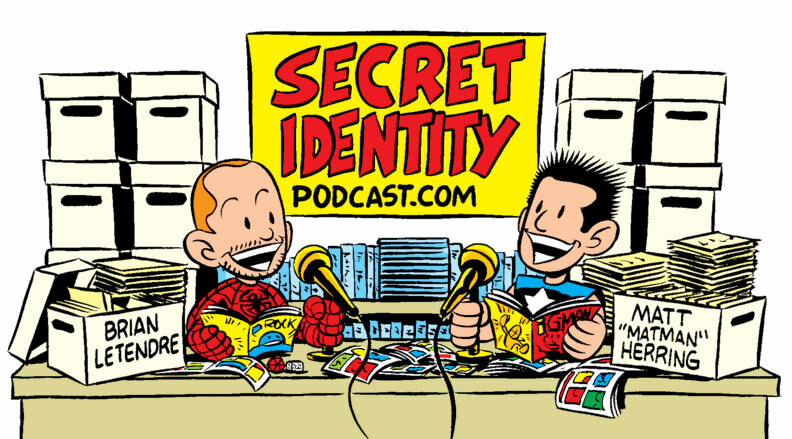 On Friday, Matt Herring and I recorded and posted the final episode of the Secret Identity podcast. 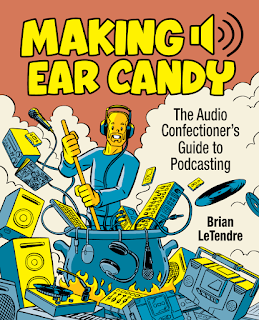 It was our 800th officially numbered episode, though we have closer to 1000 overall. 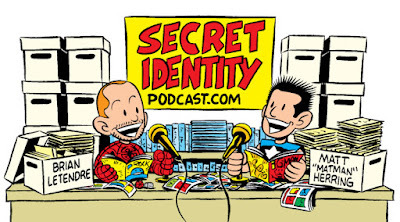 We started Secret Identity in March of 2006, and for the better part of 12 years, have put out a new show (or two) just about every week. All told, we have roughly 2000 hours of podcasts featuring thousands of comics, movies, TV show and game reviews, as well as hundreds of interviews with creators. To say that I am proud of what we've accomplished would be the understatement of the century. My life would not be what it is right now if not for that show. Some of my best friends are in my life because of that show. I am a writer today because of that show. The list goes on. I'll have much more to say about the legacy of Secret Identity in the coming months (and years), but for right now, I just want to reflect on and appreciate what we've done. You can listen to the final episode of Secret Identity in the player below. And for all of those people who tuned in--whether it was one time or every week--THANK YOU. 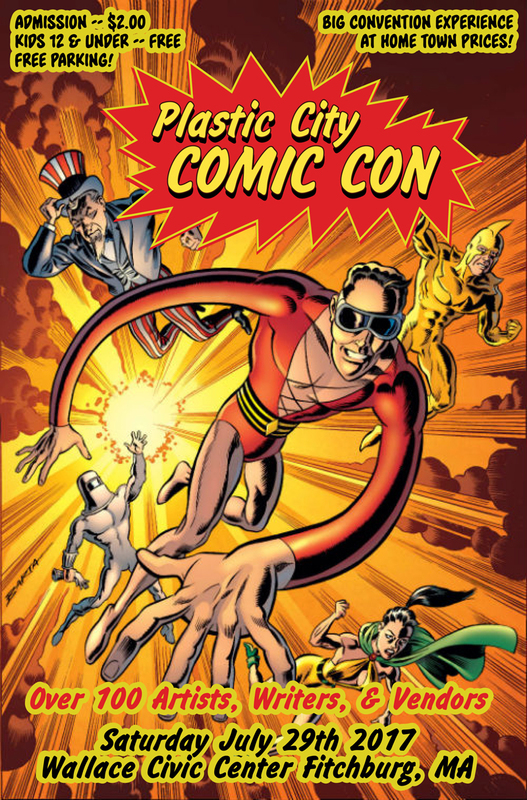 Come See Me at Bing Comic Con Today (10/28)! If you are in the MA/CT area today, head over to Trinity Church in Springfield MA for Bing Comic Con! from 11-5 I'll be there with a bunch of great artists, writers, crafters and more, hanging out and selling books. I'll have print copies of all the Parted Veil books, as well as my book of short stories, Intrusive Thoughts. The show runs from 11-5 today, and admission is only $5. Hope to see you there! 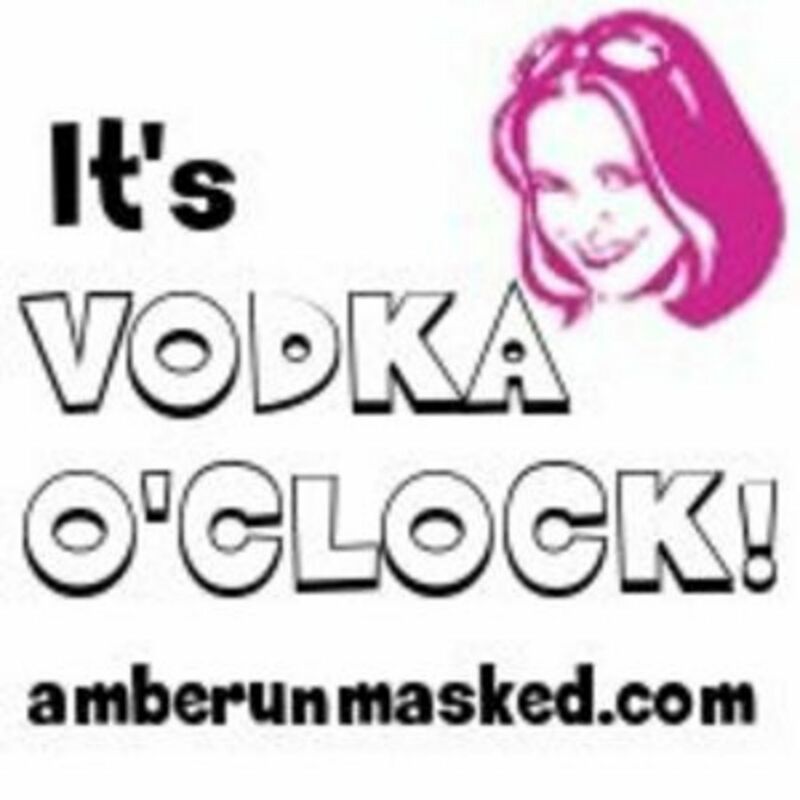 Listen to Amber Love and I Talk Horror on the Vodka O'Clock Halloween Spooktacular! 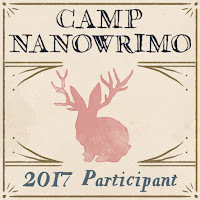 My friend and fellow writer Amber love was gracious enough to invite me on her podcast again to talk about two of my favorite things--horror and NaNoWriMo! 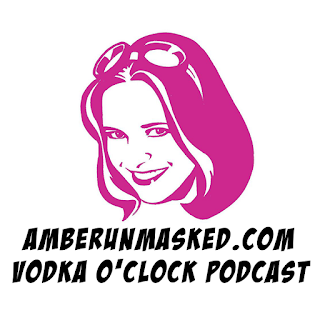 In the Vodka O'Clock Halloween Spooktacular, Amber and I discuss some of our favorite horror books, movies and more. I also talk a bit about some of my experiences with horror as I child that made me a fan of the genre. Listen to the VOC 2017 Halloween Spooktacular! You can listen to the episode at the link above, or get it on iTunes and Stitcher. 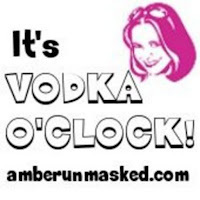 Please also go and check out Amber's Patreon, where you can get early access to podcasts and her writing projects as well. 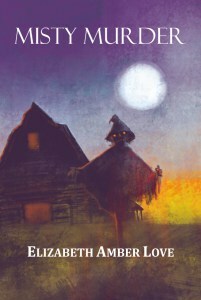 AND, Amber just released a Halloween murder mystery called Misty Murder that you can get on Amazon for $0.99 now. 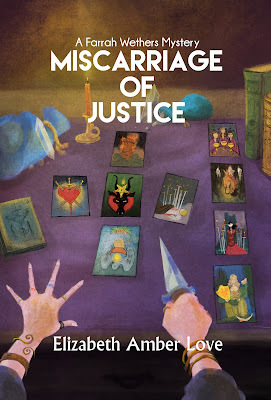 Get Misty Murder on Amazon! 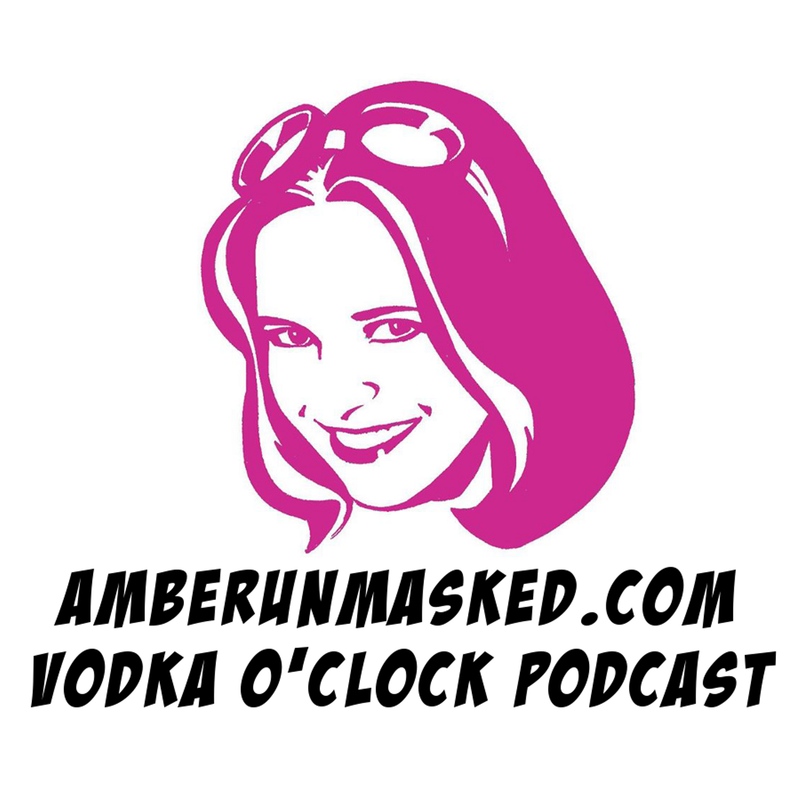 Thanks again to Amber for inviting me on the show, and you can expect to hear her on a future episode of the SBW podcast as well. 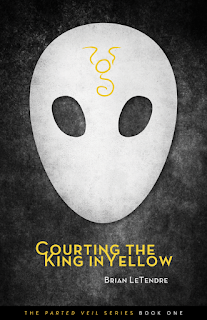 Get COURTING THE KING IN YELLOW for 70% Off in Drive Thru's Halloween Bundle! Drive Thru Fiction is having some amazing sales to celebrate Halloween, and I'm a part of one. My first book Courting the King in Yellow is part of the Cthulhu Tales bundle, were you can get almost $30 of books for $7.95. That means you're getting Courting the King in Yellow for a measly thirty-five cents! 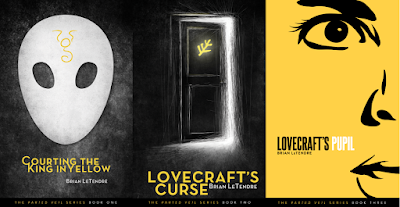 Get Drive Thru's Cthulhu Tales Bundle with Courting the King in Yellow! Not only that, but you also get some great anthology series as well, featuring stories inspired by H.P. Lovecraft. Now is the perfect time to grab Courting the King in Yellow, as its sequel was just released last week! So when you go to grab the bundle, you can pick up Chasing the King in Yellow at Drive Thru as well, and you'll still have spent under $10! So go grab some Halloween reads and celebrate October with some spooky stories. Get Chasing the King in Yellow at Drive Thru! CHASING THE KING IN YELLOW Is Now Available! Happy Friday the 13th!! It's an especially happy day for me, because Chasing the King in Yellow is now available on Amazon and Drive Thru Fiction! 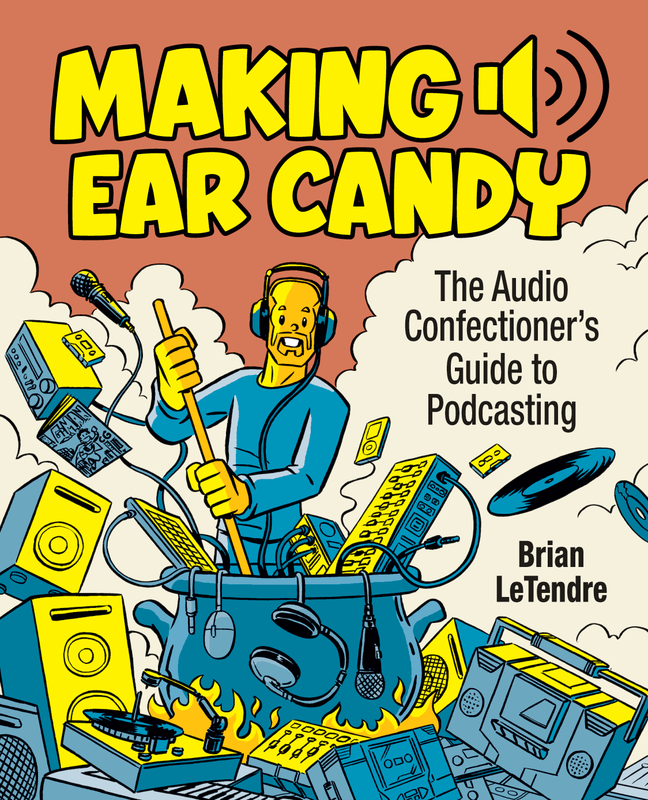 You can grab the kindle version on Amazon, and over at Drive Thru, you can get the book in Epub, PDf and print versions as well. 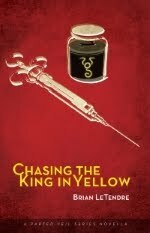 Get Chasing the King in Yellow on Amazon!! 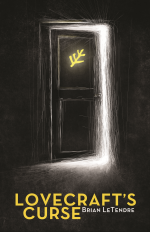 Get Chasing the King in Yellow on Drive Thru Fiction!! 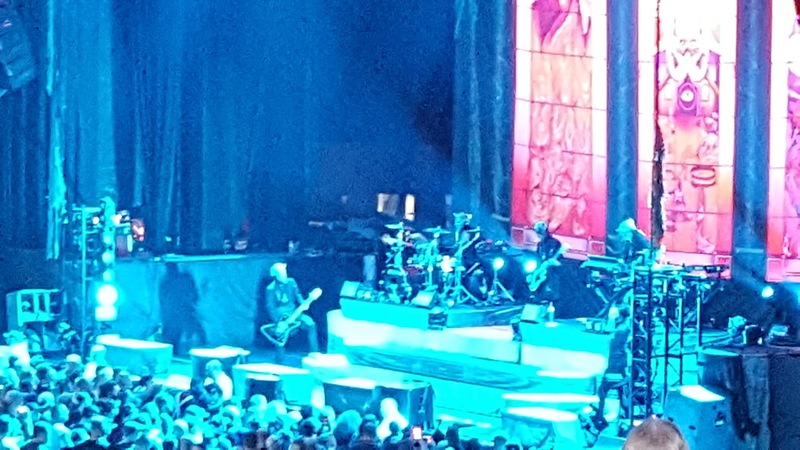 Now members of the Parted Veil themselves, Sam and Frank continue to follow the cult's activities and thwart them whenever they can. A rash of disappearances has led them to a small town in Tennessee, where an old mining operation may be the cult’s latest workshop of horrors. In just under four weeks, the newest film adaptation of Stephen King's IT has made over $293 million at the U.S. box office alone. 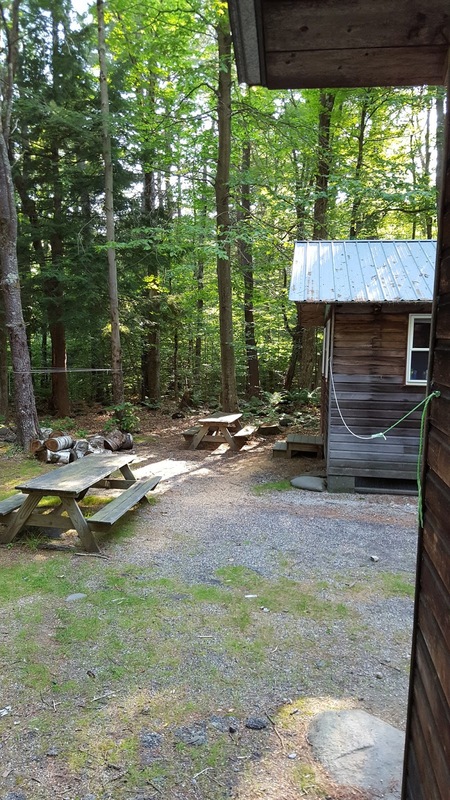 As you might imagine, a lot of people who are encountering the property for the first time have gone and picked up the original book as well, as the 1986 book was recently back to appearing on bestselling lists. 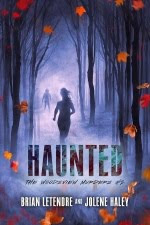 And like any great read, finishing IT leaves people wanting another scary story to jump into. Charlotte Ahlin over at Bustle recently put together a list of books she recommends for anyone who enjoyed IT and was looking for more clown and carnival-related horror. 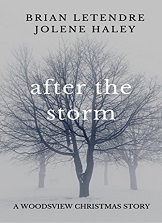 And it just so happens that one of the books she recommended has a story of mine in it. Dark Carnival is an anthology that started as a writer and illustrator showcase over the Pen and Muse website, which was run by my writing partner Jolene Haley and Kristen Jett. 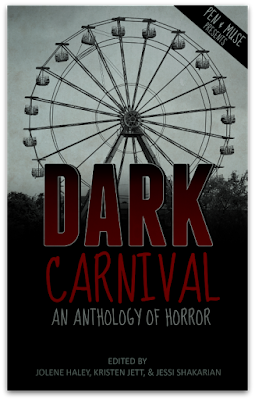 Get Dark Carnival Now for $0.99! 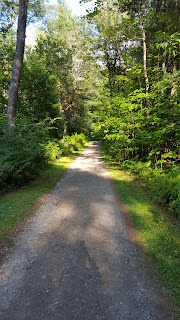 If you want to dip your toe in before investing that dollar, you can read my entry from Dark Carnival ("Exposure") for free. There are so many talented people who have entries in that anthology that there's definitely something for all horror fans. Jolene, Kristen and Jessi Shakarian did an amazing job of pulling that collection together and I'm so glad to see people still enjoying it and recommending it. Thanks again to Charlotte for showing our book some love! 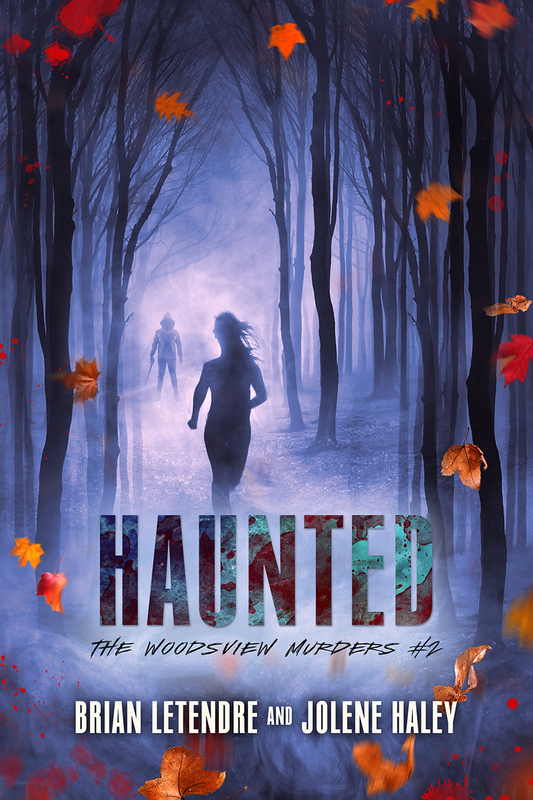 Say Goodbye to Summer and Welcome the Fall with Two Free Horror Stories! Fall is my absolute favorite time of year, especially as a New Englander. The crispness of the air, the changing of the colors--I love it. And let's not forget the greatest holiday of the year is coming up--Halloween. 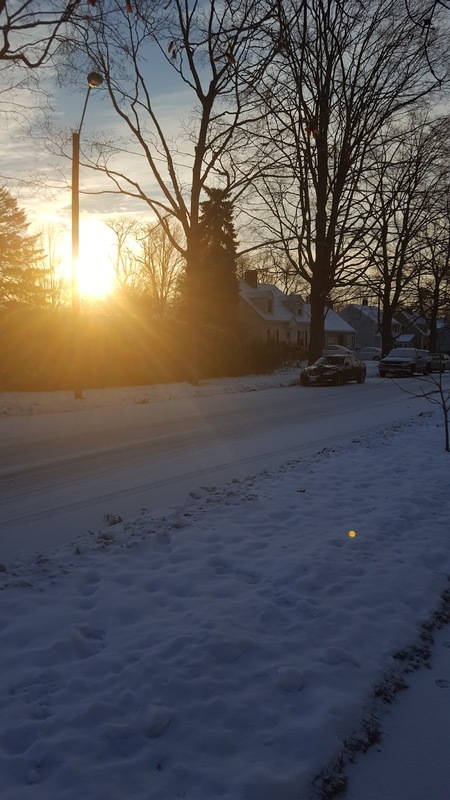 But I know some of you are summer people--you miss the eighty-degree weather, trips to the beach and backyard barbecues. Or maybe you're a fan of both season, and you're feeling little torn right now on this first day of fall. Well it just so happens I have a horror story for every season, and today I thought I'd share two of them with you. 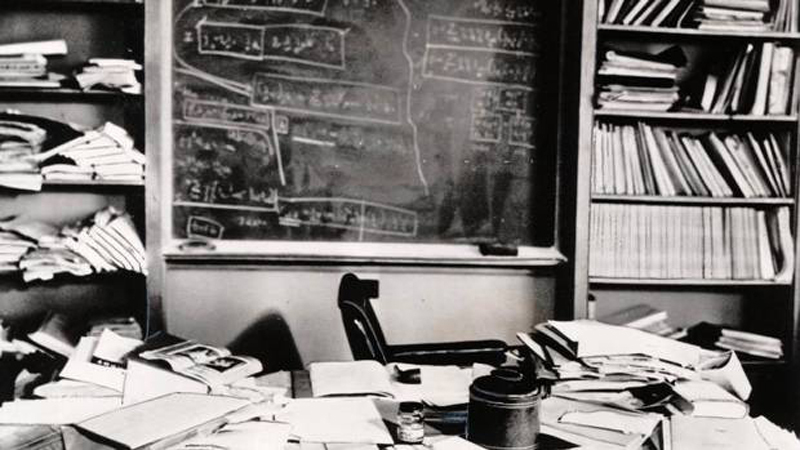 They are both free, and you can read them right now! 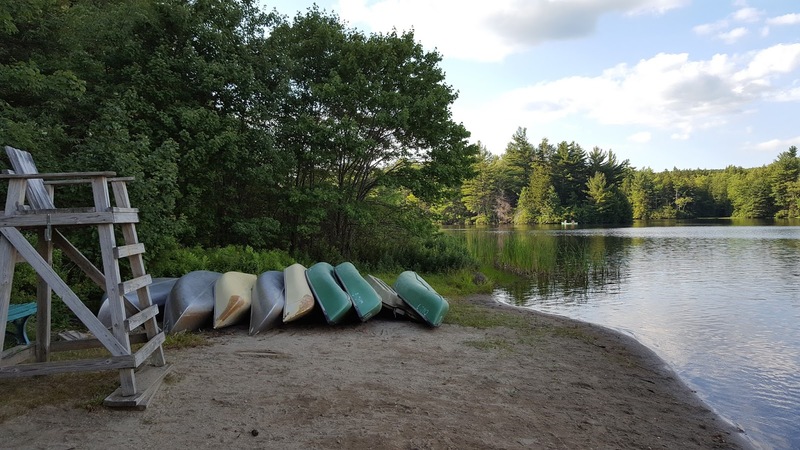 "The Boathouse" is a summer camp-themed nightmare about what lurks in the waters of a campside lake. 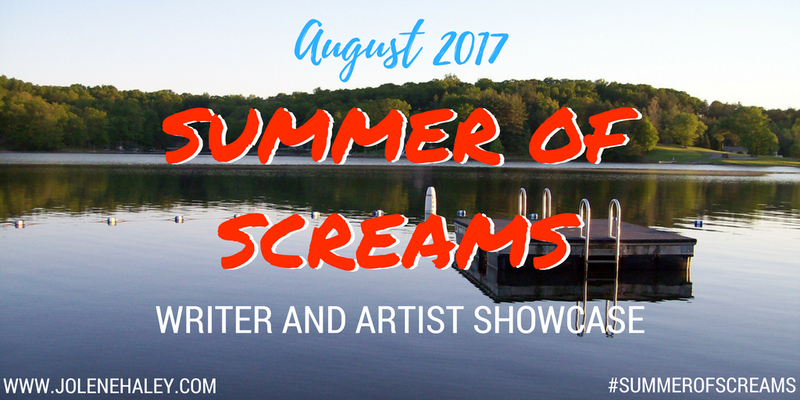 I wrote it as part of the Summer of Screams showcase my writing partner Jolene Haley put together last month. For you fans of fall, I present "Harvest Moon," a pumpkin-spiced tale of terror I brewed up for another of Jolene's showcases (Night Harvest) a couple of years ago. 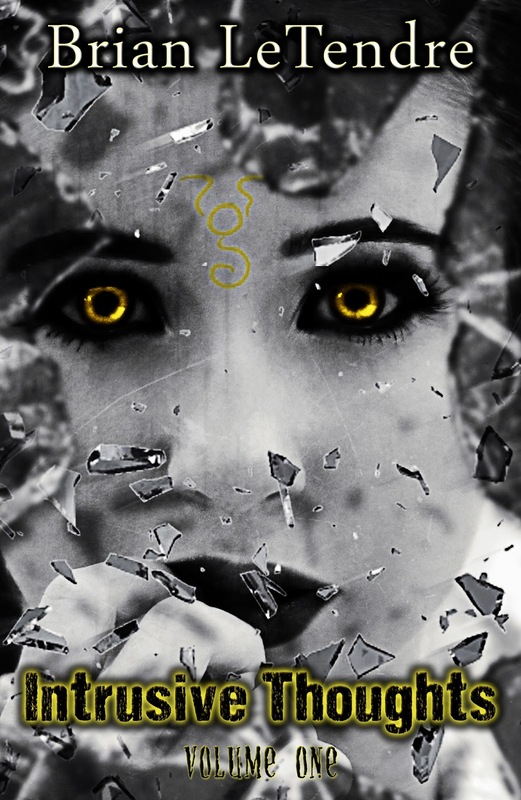 This tale very loosely ties into my Parted Veil series, so if you dig it, you might want to check out that series, starting with Courting the King in Yellow. So, enjoy these seasonal frights and let's start the countdown to Halloween! 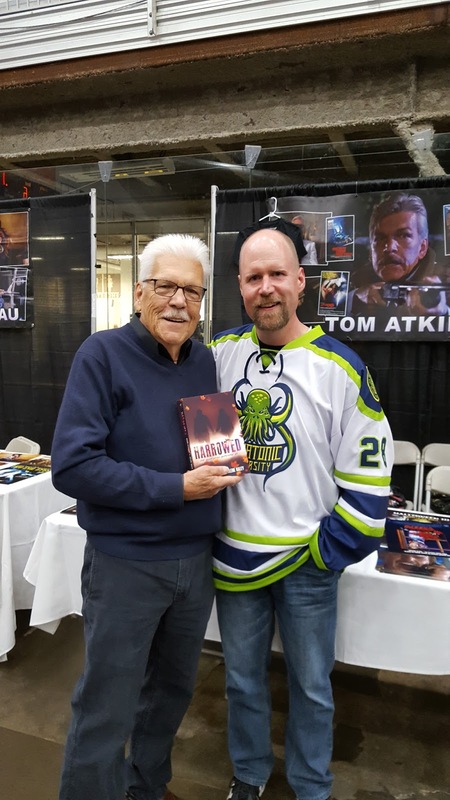 Remember a couple weeks ago, when I said how excited I was about CT HorrorFest this year because two of my all-time favorite actors--Adrienne Barbeau and Tom Atkins--were going to be there? Do you also remember when I told you that the character of Ray Atkins in the Woodsview Murders series was inspired by Tom Atkins' character from Night of the Creeps? I don't think you understand how much meeting these two meant to me. I adore Adrienne Barbeau, as she was in two of my favorite movies of all time, The Fog and Escape From New York, as well as Creepshow, Swamp Thing and the awesome TV show Maude. 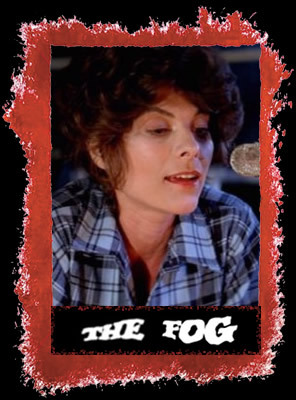 My favorite role of hers was Stevie Wayne, the local radio DJ in The Fog, though I’ve loved her in everything she’s been in. 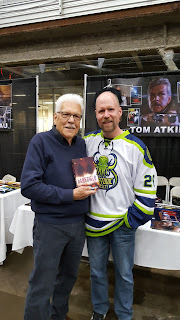 Tom Atkins is a horror legend to me. He’s a Carpenter veteran, having done Escape From New York, The Fog and Halloween III for my favorite director/writer/producer. He was also in Creepshow, Maniac Cop, Two Evil Eyes, My Bloody Valentine 3D, and the amazing Night of the Creeps. Our Detective Ray Atkins is a love letter to Tom’s character Ray Cameron. And Saturday I got to tell him that. 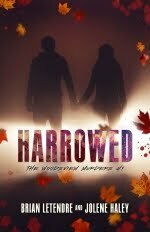 My morning began with meeting Tom and giving him my print proof of Harrowed after explaining how he inspired one of the main characters. He was amazingly gracious and said he couldn’t wait to read it, even asking me when we were going to make a movie out of it. I was so happy I almost cried. I went back later in the day and bought a Night of the Creeps poster from Tom, which he signed to Jolene and I. And then he took a picture with me as he held our book (which you can see above). I don’t even have words for how happy this made me. When I stumbled away in a daze, he called me back to his table to make sure he had my email address so he could tell me what he thought of the book. And he also asked me to say hi to Jolene for him. I was almost in tears. In my wildest dreams, I couldn’t have imagined any of that. 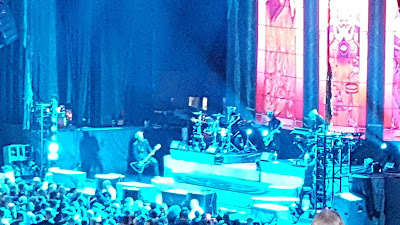 He was amazing and I am an even bigger fan of his than I was before. What an awesome guy. 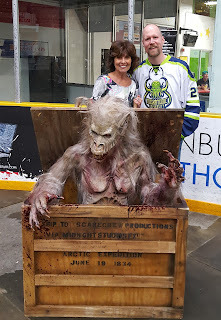 I then has the good fortune to meet Adrienne Barbeau and get a picture with her as well. Just being able to tell her how much I’ve loved her work and how I’ve grown up with her was so great. And she was absolutely lovely. I...don't even know what to say. It's been a week and I am still walking around in a fog (get it, because they were both in--never mind). I have said this many times before, but I will keep saying it--CT HorrorFest is my favorite show of the year. Rob and Christine Caprilozzi are two amazing human beings, and their love of horror is so evident when you come to this show. Go support their Horror News Network site because they deserve it and it's awesome. Saturday was a day I will remember for the rest of my life. Not only did I get to meet two legends, but I got to give one of my stories to a guy who has entertained me with his stories for over thirty years. I'm super excited to share the cover for my new novella Chasing the King in Yellow with you! The cover was designed by my good friend Jeff Rodgers, who has done all of the covers for my Parted Veil series. Here it is! 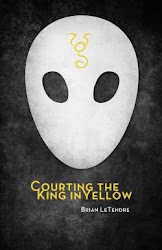 Chasing the King in Yellow is in many ways a sequel to the first book in the Parted Veil series, Courting the King in Yellow. 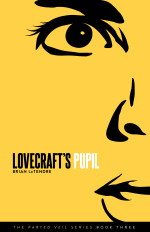 After that first book, that story of Frank and Sam continued in the background, as Lovecraft's Curse and Lovecraft's Pupil featured new characters. 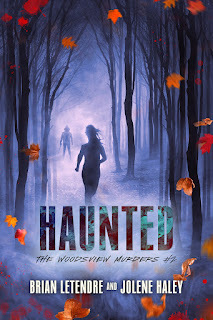 This book gives readers a window into what's been happening with Frank and Sam, and helps set the stage for the next novel in the Parted Veil series. As far as the cover design, Jeff and I wanted this cover to be distinctive, but clearly evoke the feel of the first cover. I think Jeff nailed it. 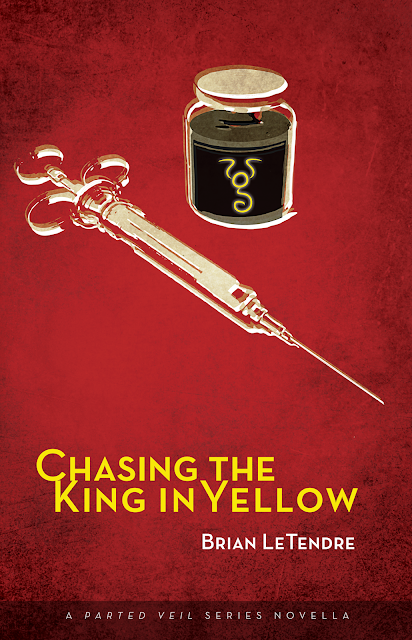 Chasing the King in Yellow will be released on Friday, October 13th. You'll be able to grab it digitally on both Amazon and Drive Thru Fiction, and print copies will also be available over at Drive Thru. And speaking of print copies, if you are coming to CT Horror Fest in Danbury tomorrow (9/16), I will have a limited number of print copies of Chasing the King in Yellow available! 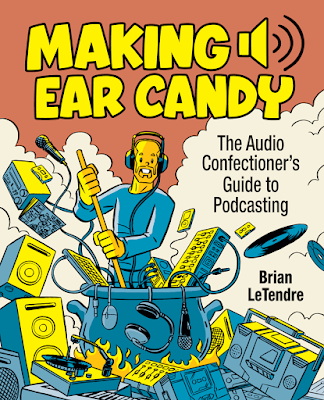 This is your chance to grab the book almost a month before anyone else can! Stay tuned for more news as we get closer to the release date! More than one million people were displaced by the destruction Hurricane Harvey caused. It will be quite some time before Texas can recover from the record-setting rainfall, and they will need every bit of help they can get. 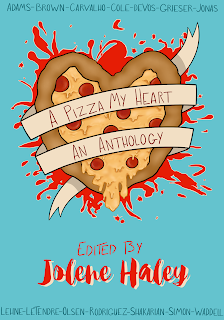 Earlier this year, I was lucky enough to be part of a fantastic anthology project called A Pizza My Heart. Edited by my good friend and writing partner Jolene Haley, the anthology was a collection of stories that crossed all genres, but had one thing in common--pizza. Because pizza is wonderful. 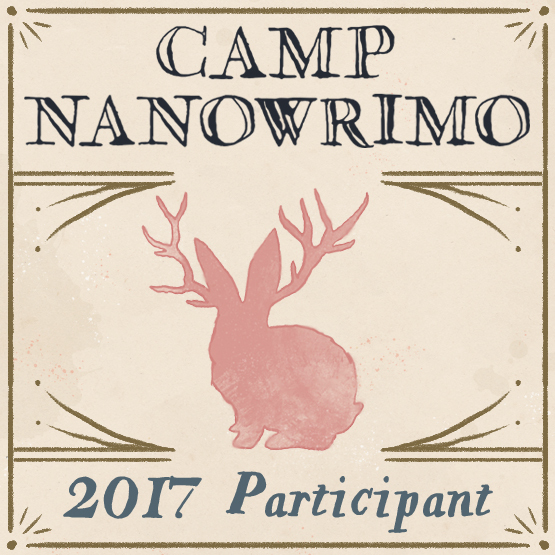 And now, were hoping to use our anthology to inspire people to help the victims of Hurricane Harvey. 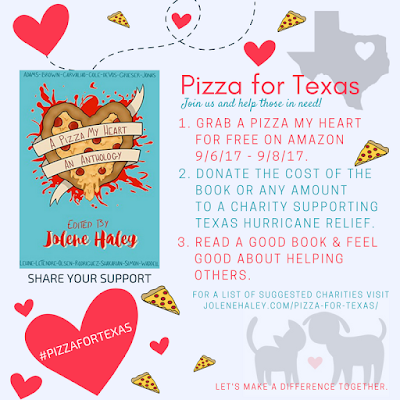 From September 6th through the 8th, A Pizza My Heart will be free on Amazon. Go download it and enjoy it, like a slice of your favorite pizza. All we ask is that you make a donation of any size to a charity benefiting the victims of Hurricane Harvey. It could be the amount of a slice or a party-size pizza--whatever you can afford to give. You can find more details over at Jolene's website, including a list of charities you could make a donation to. We'll be letting people know about the event on Twitter under the hashtag #PizzaForTexas. So enjoy the free pizza, and thanks for helping out! Come See Me at CT Horror Fest on 9/16!! It's my favorite time of year again! On Saturday September 16th, I'll be heading down the the Danbury Arena in Connecticut for my favorite horror show of the year, CT Horror Fest! 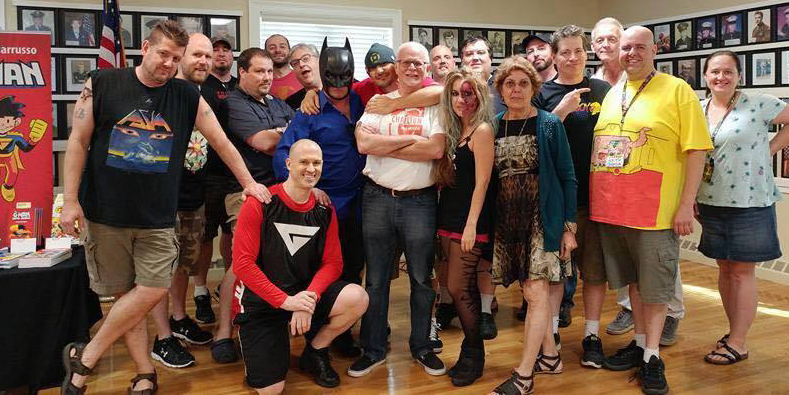 Every year Rob, Christine and the rest of the crew at the Horror News Network put on an amazing show that celebrates horror and the people who create it. Adrienne Barbeau has starred in some of my all-time favorite movies--Escape From New York, Creepshow and The Fog. 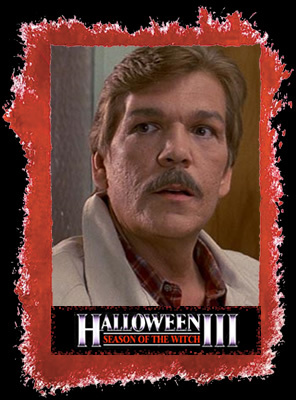 And I am such a huge fan of Tom Atkins (Halloween III, The Fog, Night of the Creeps) that I actually based the character of Ray Atkins in Harrowed on his character of Ray Cameron from Night of the Creeps. I cannot wait to meet these two and tell them how much their work has meant to me. 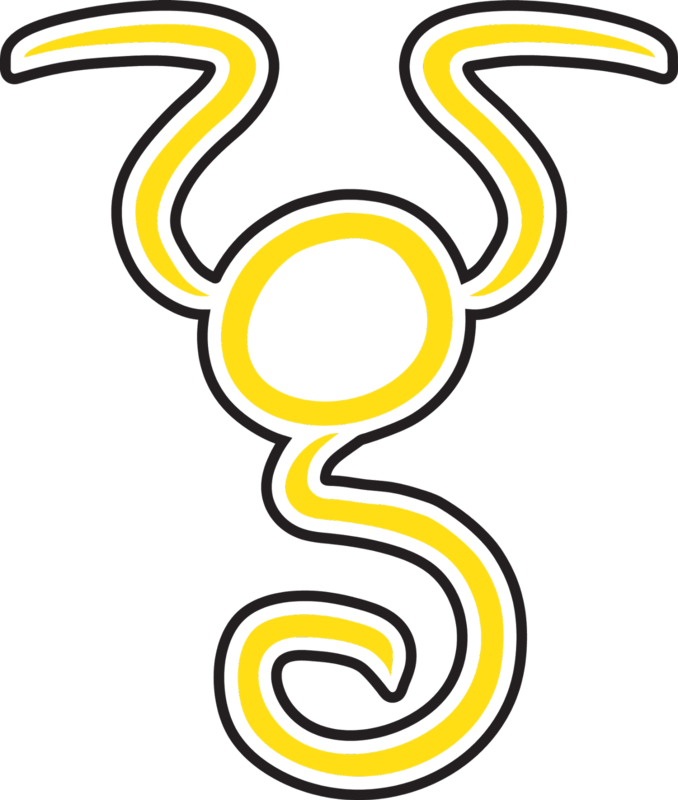 I will have a table at the show and I'll be selling my Parted Veil books, including a brand new novella that is a sequel to my first book, Courting the King in Yellow (more on that next week). I'll also have copies of my short story collection Intrusive Thoughts as well, so there will be a little something for everyone. So, if you're in the New England Area and you're a horror fan, you should definitely come down to CT Horror Fest and say hi. We can hang out and talk horror all day. I hope to see you there! Come See Me at Plastic City Comic Con This Saturday (7/29)! This Saturday I'll be in Fitchburg, Massachusetts for the second annual Plastic City Comic Con! The show will be held in the Wallace Civic Center from 10-6. Admission for adults is only $2, and kids 12 and under get in for free! I'll be there selling books and hanging out with my Secret Identity co-host Matt Herring and a bunch of other writers, artists and more. You can check out plasticcitycomiccon.com for the full guest list, directions and more info on the show. Hope to see you there! 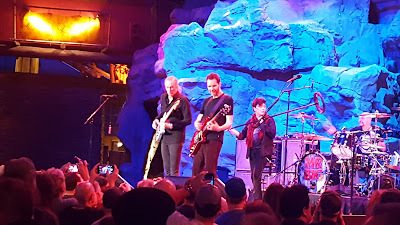 The last time I saw Winger in concert was fifteen years ago, when they toured in 2002 with Poison, Cinderella and Faster Pussycat. I distinctly remember that show, because even though Poison were the headliners, Winger blew all three other bands off the stage that night. 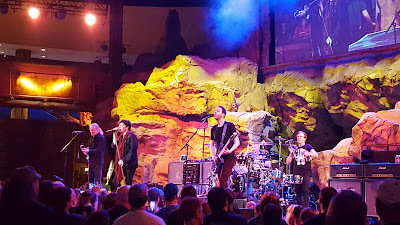 They were amazing live, sounding every bit as good as their studio albums, and bringing an energy that was just infectious. Fast forward to Saturday night at the Mohegan Sun Wolf Den in Uncasville, CT, where Winger proved they haven't lost a step in the past fifteen years. In fact, they might actually be better. Winger opened with the uptempo "Midnight Driver of a Love Machine" off the Better Days Comin' album, and they never slowed down. 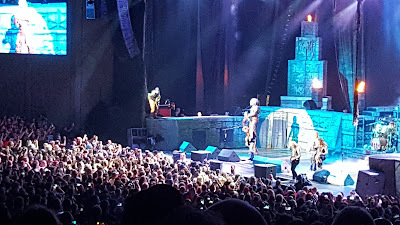 They played a great mix of older and newer songs, as well as my all-time favorite, "Hungry." 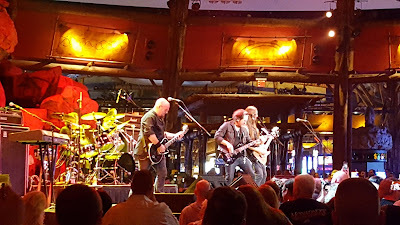 Joining Kip Winger, Reb Beach and Rod Morgenstein for the Mohegan Sun show was guitarist Donnie Wayne Smith, who has been filling in for John Roth from time to time since 2014. 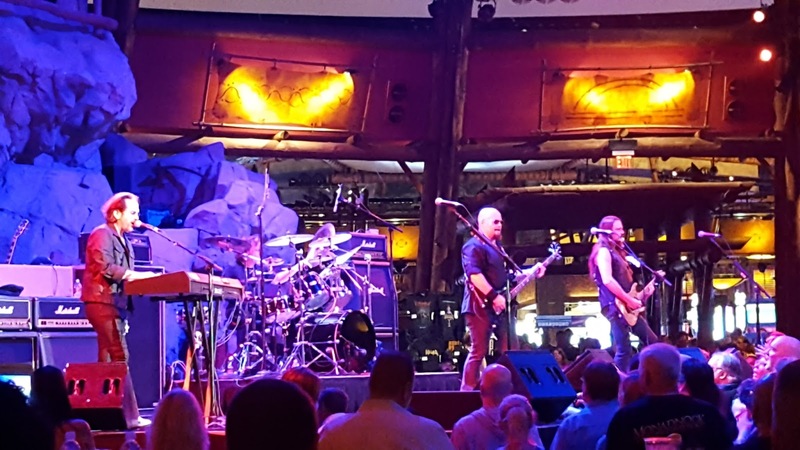 Paul Taylor wasn't there, so Kip took keyboard duties for the few songs that featured them. I was super impressed with Donnie Wayne Smith. Not only did he nail every song on rhythm and occasional lead, but his backing vocals were right there with Reb Beach's, which if you know Winger, is saying a lot. Kip himself sounded absolutely amazing, and I felt like his range might actually be better than the last time I saw them. From start to finish, Winger put on a stellar show, and reaffirmed they are one of the best live acts out there today. 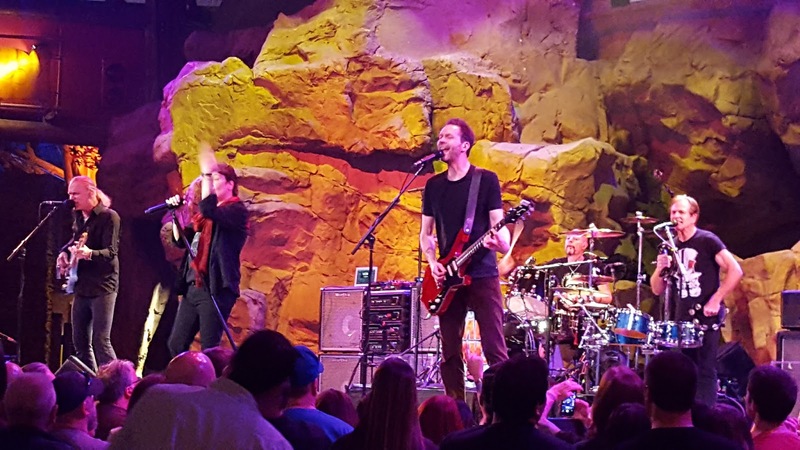 If you get a chance to see them, take it. Iron Maiden and Ghost Rocked Mansfield on 7/19!